Do you love wine and cheese, but hesitate when it comes to creating a good pairing at home? We can help! Join us for a guided wine and cheese pairing while exploring your own palette and learning what makes for a good pairing. 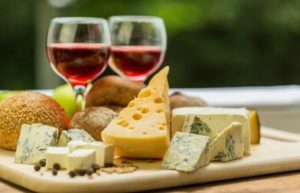 Ultimately, you will be educated on how to properly taste wine with cheese to help you create the best marriage of flavor for your next gathering.